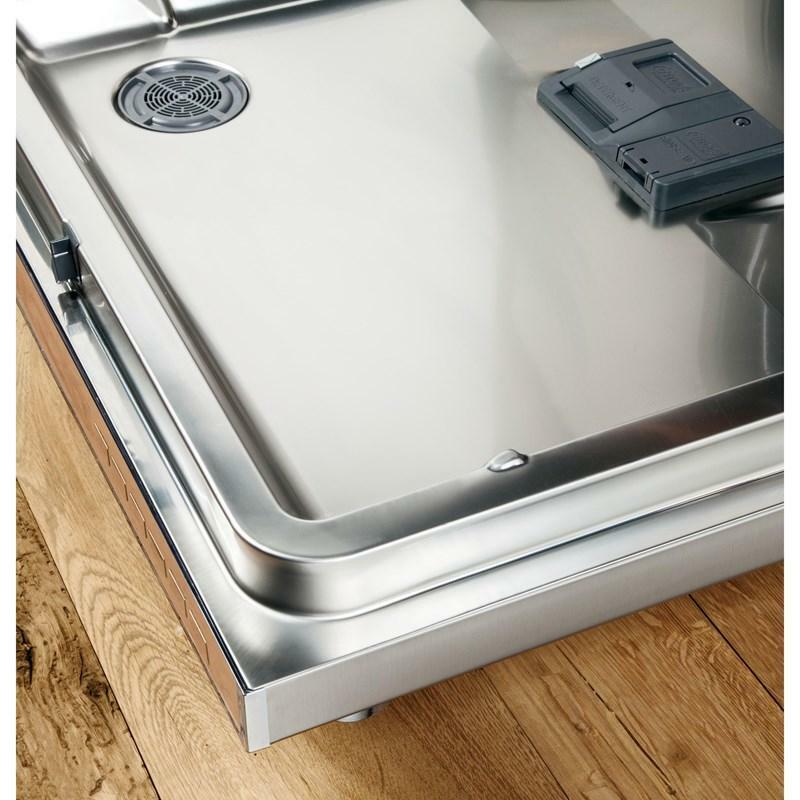 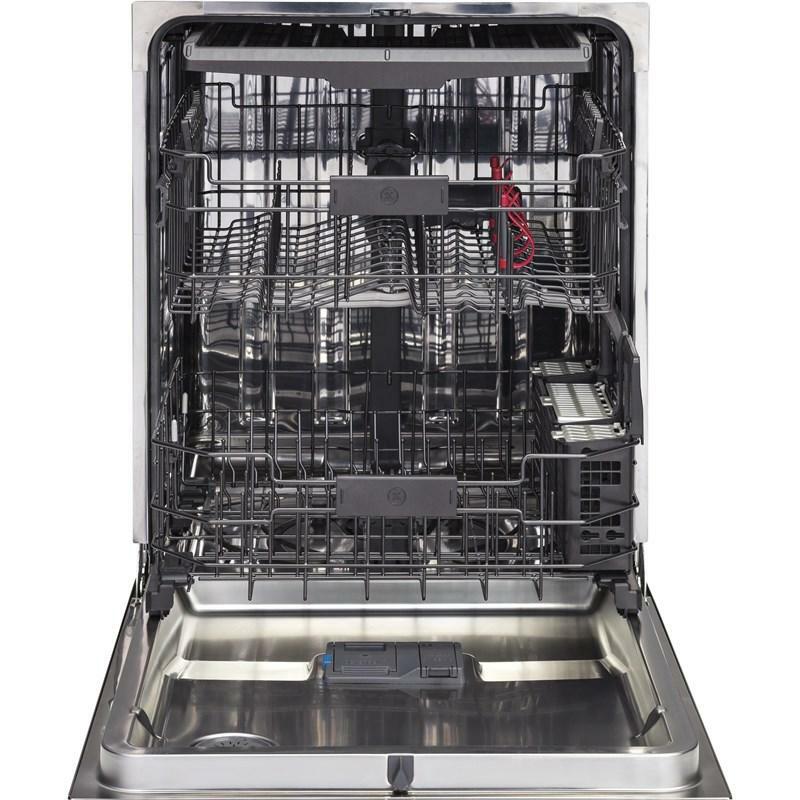 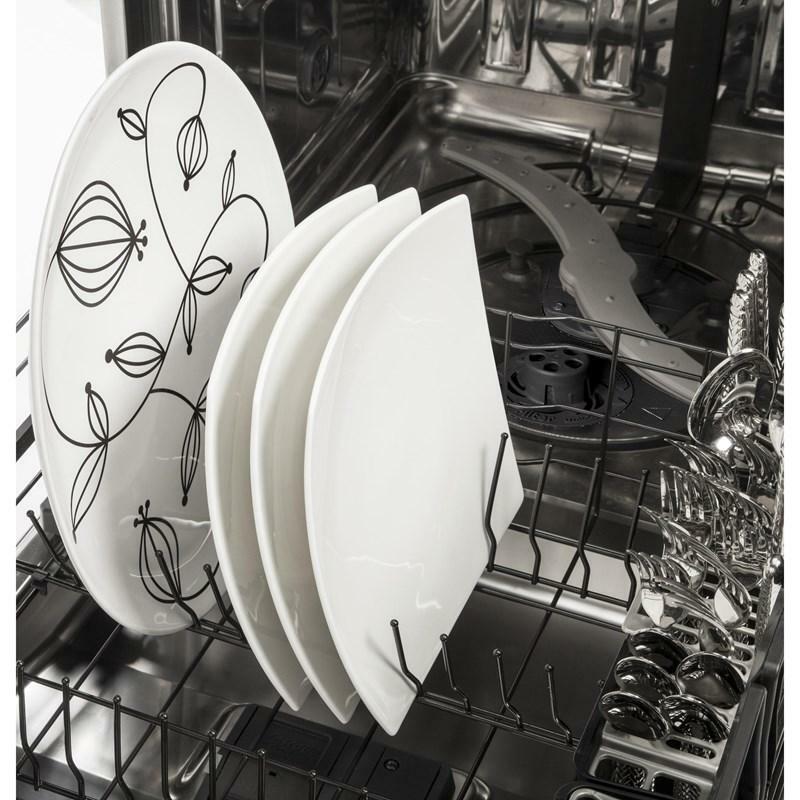 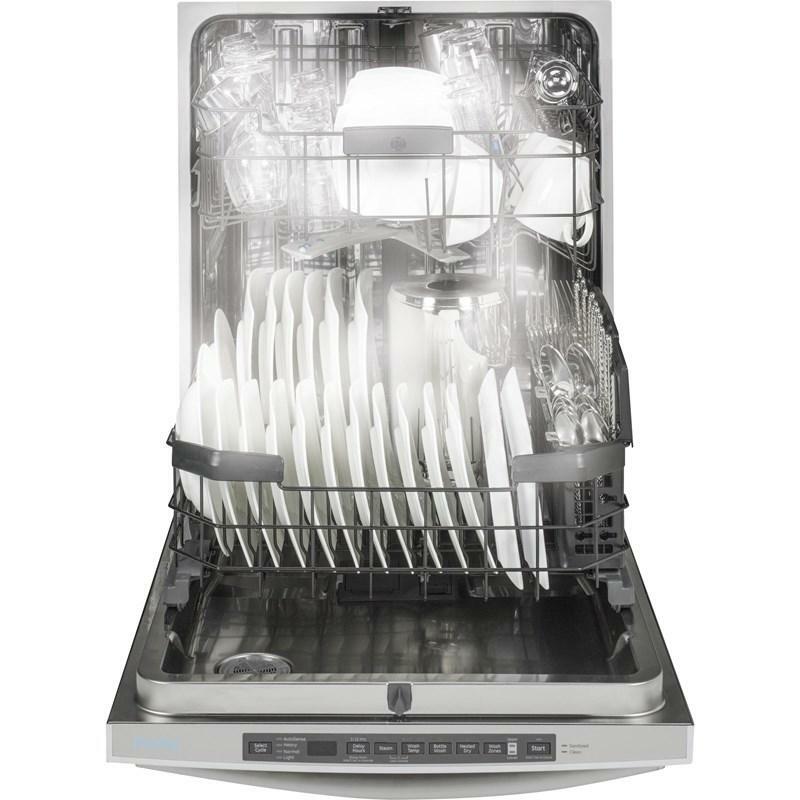 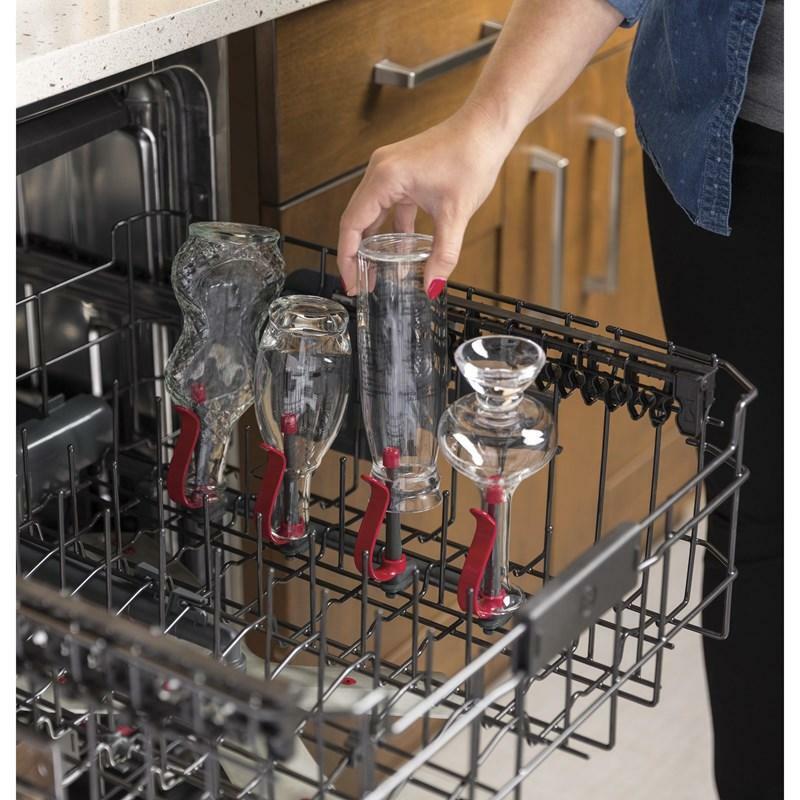 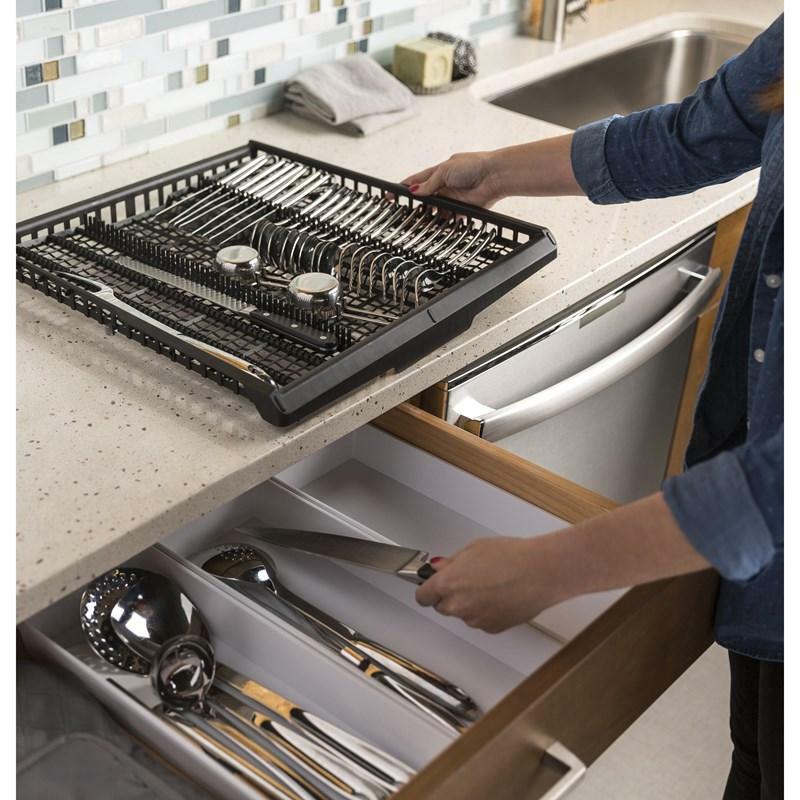 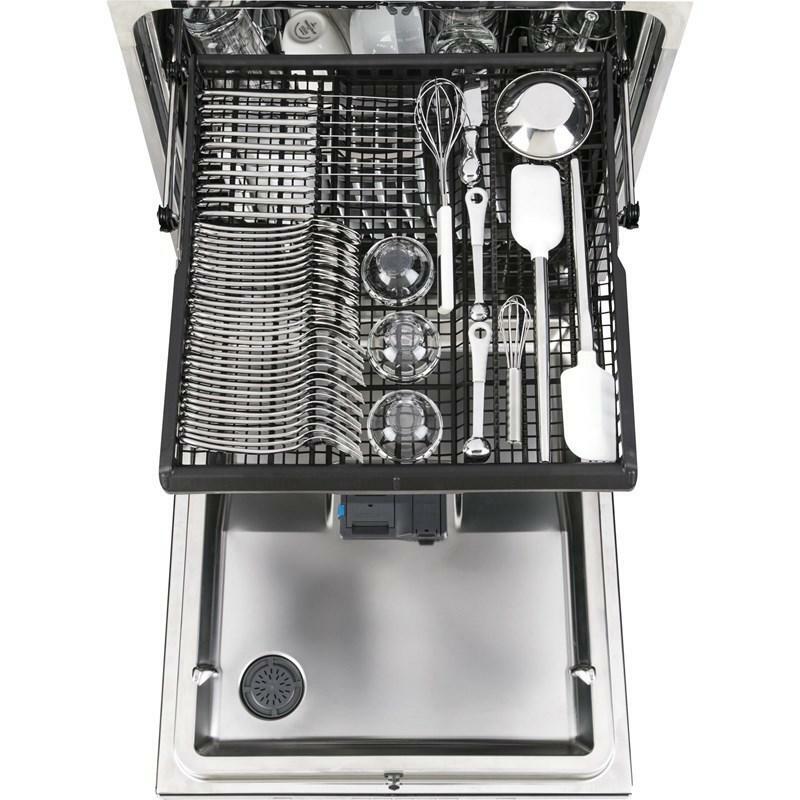 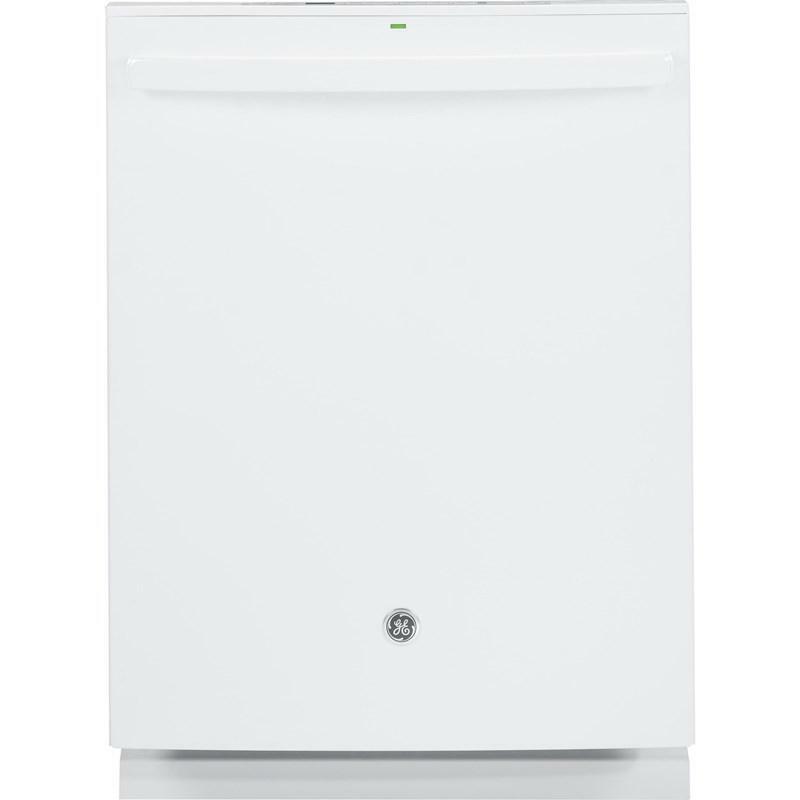 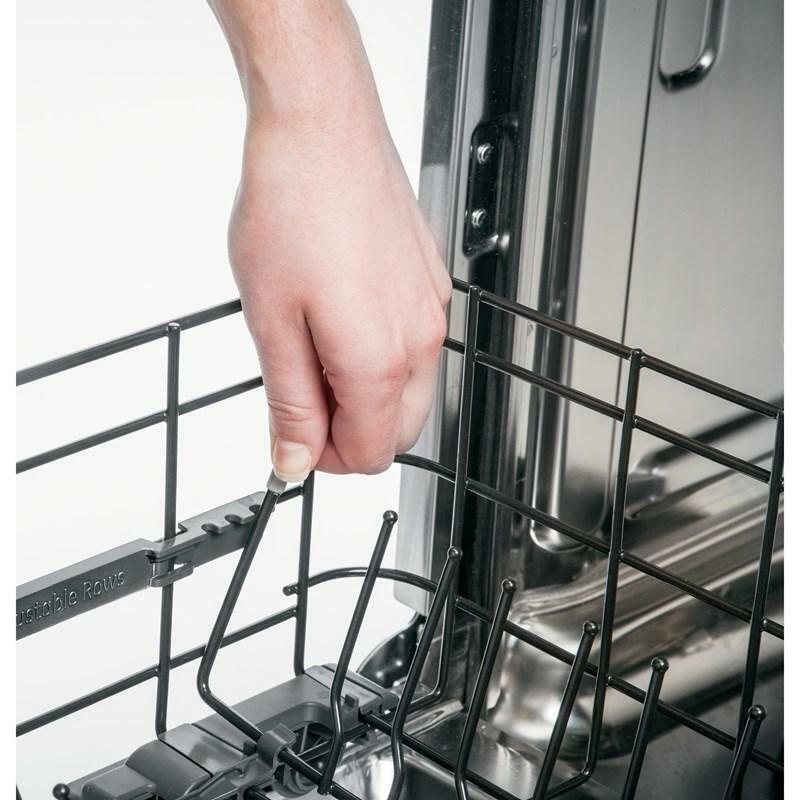 GE offers an Energy Star® qualified stainless steel interior dishwasher with hidden controls and a third rack. 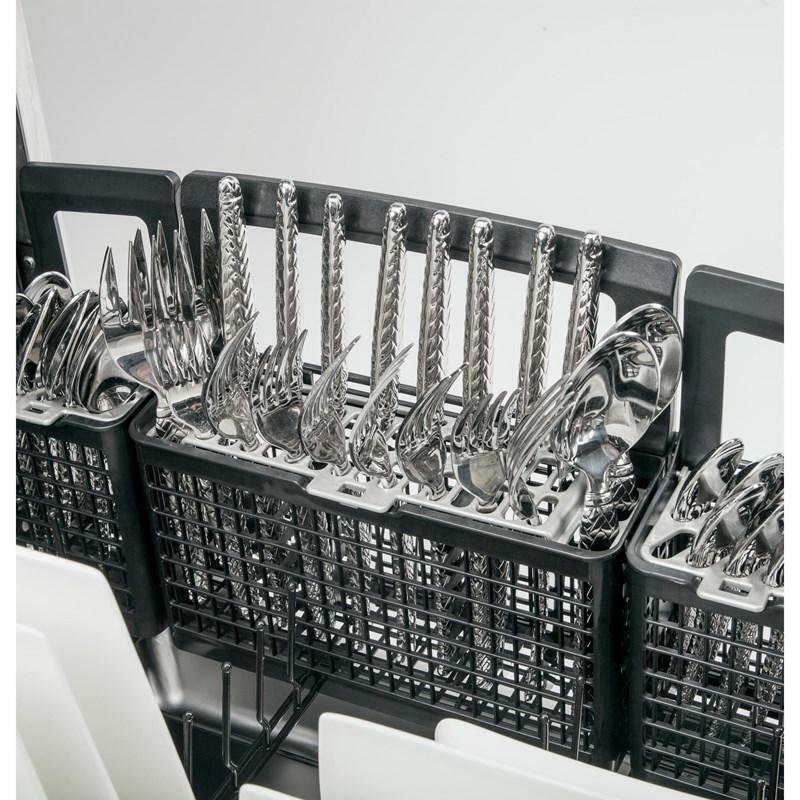 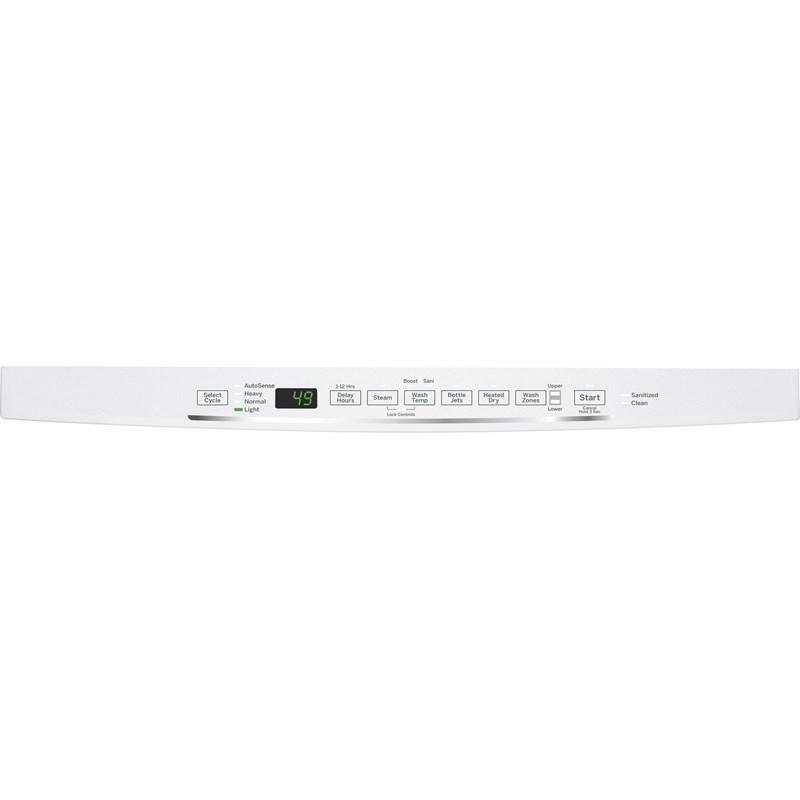 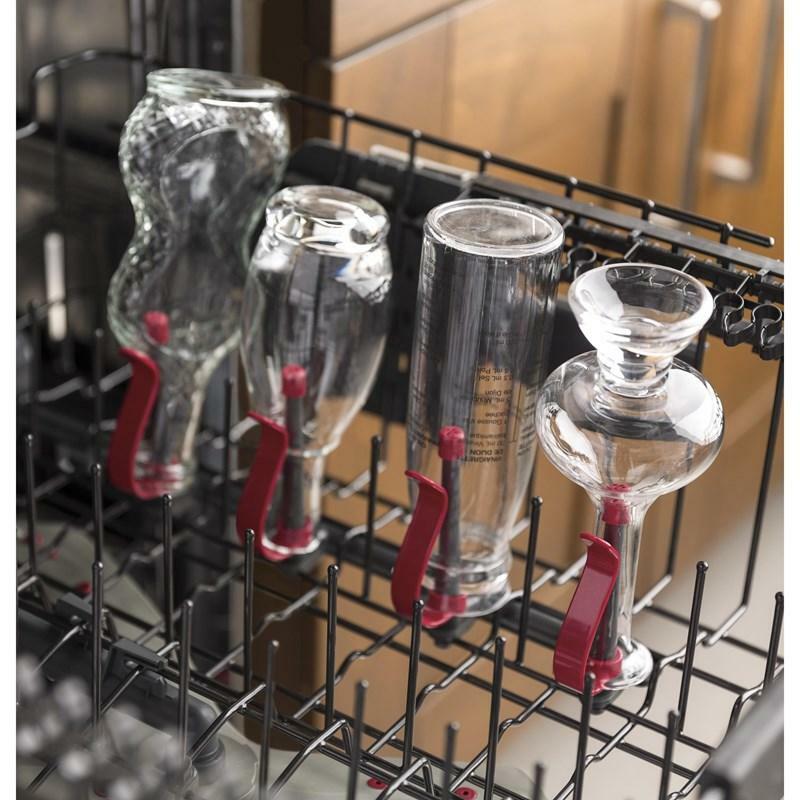 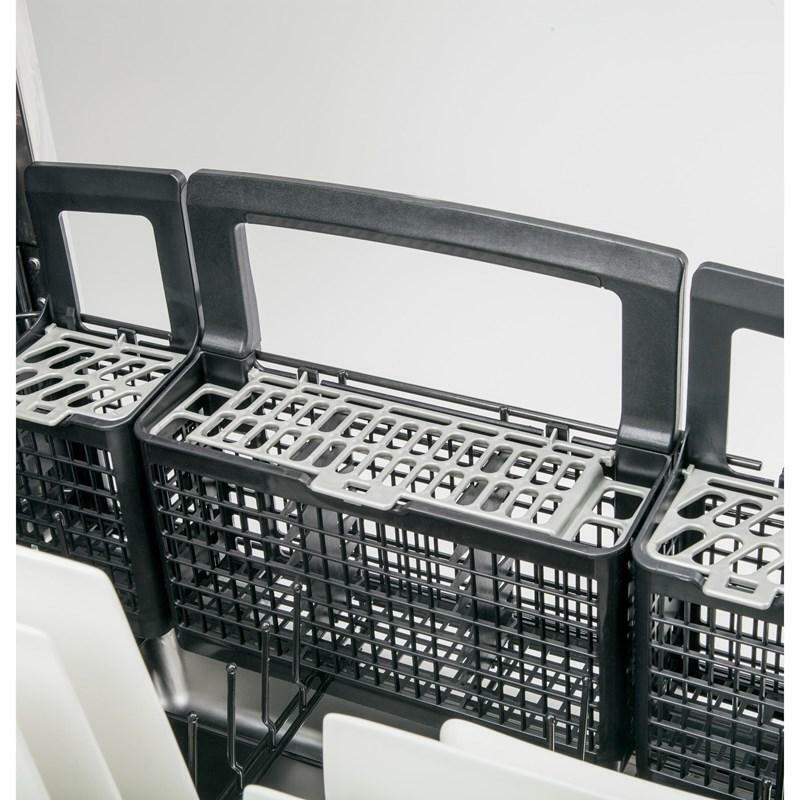 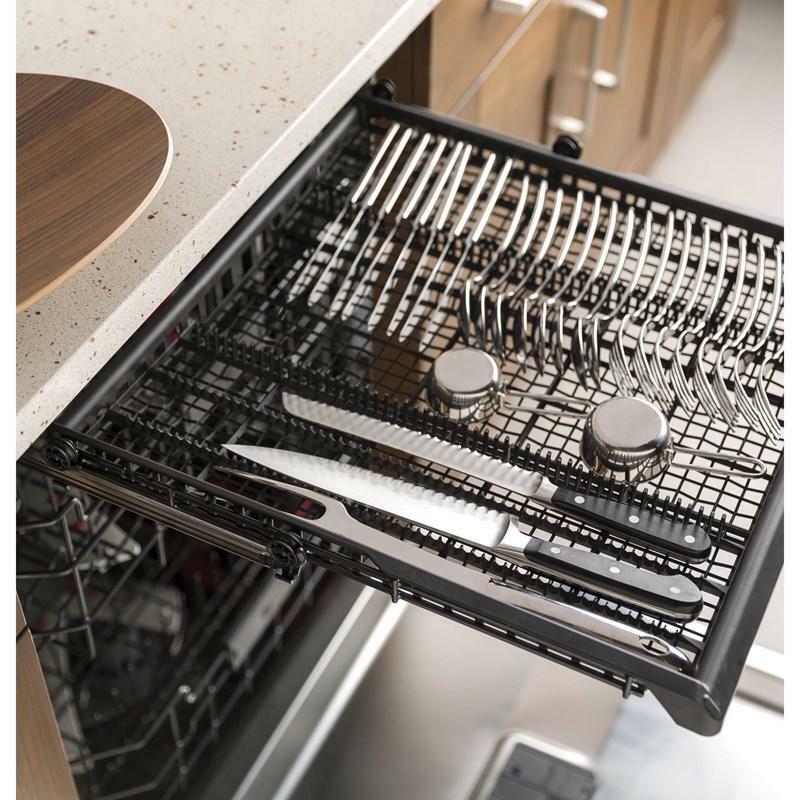 This white appliance provides an easy touch adjustable rack with 2 Stem Safe shelves and a lower rack with multi-position, fold-down tines. 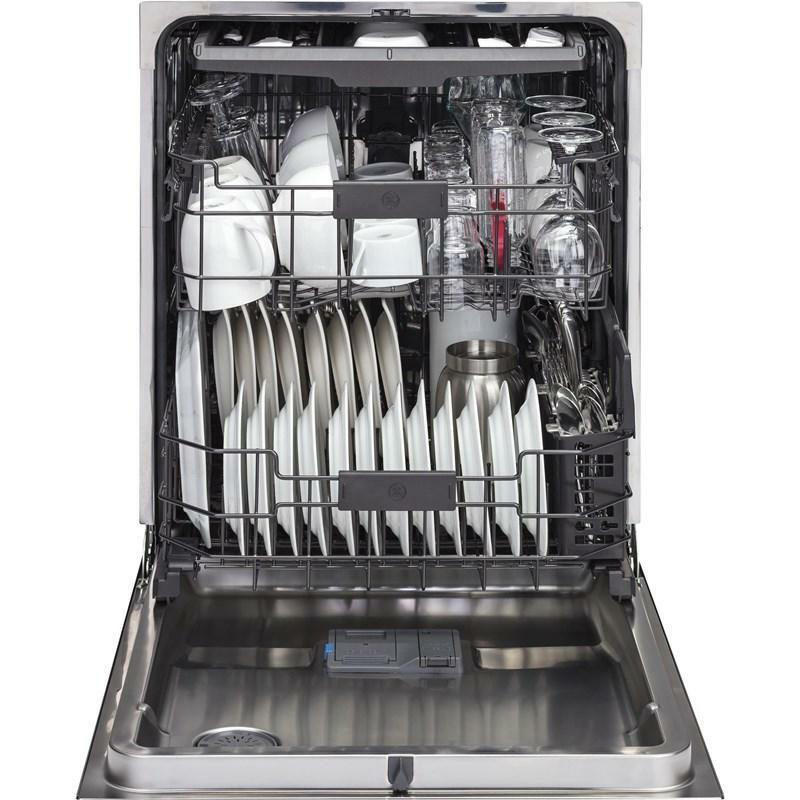 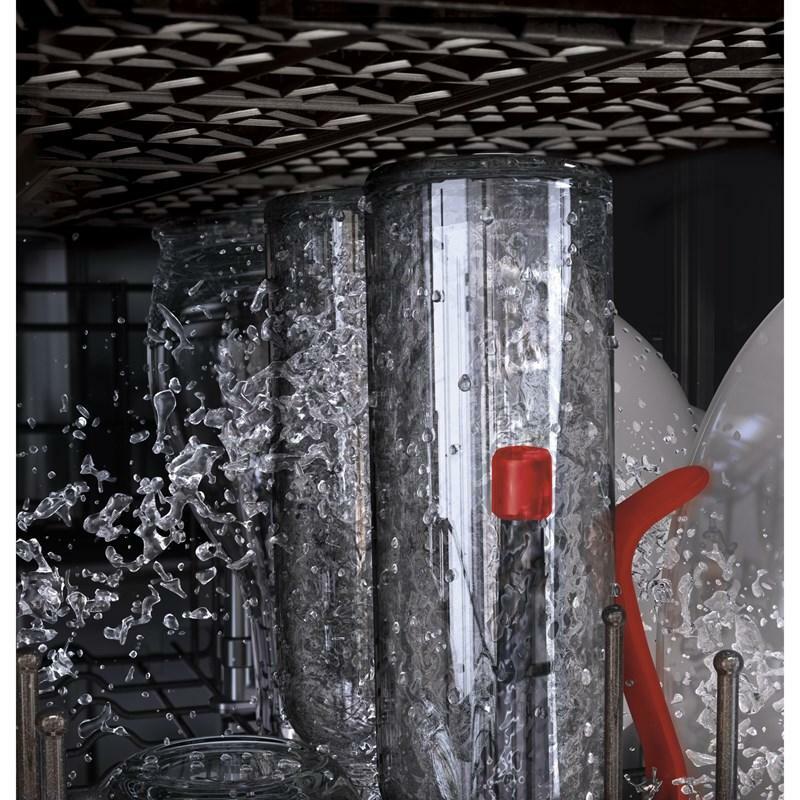 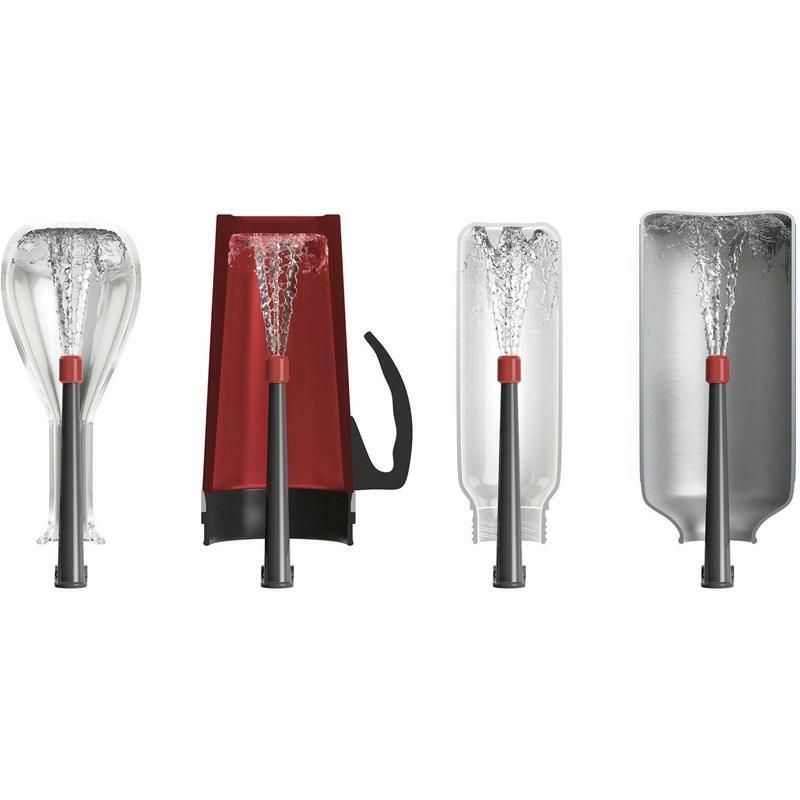 Also, the dishwasher features Piranha™ hard food disposer with removable filter. 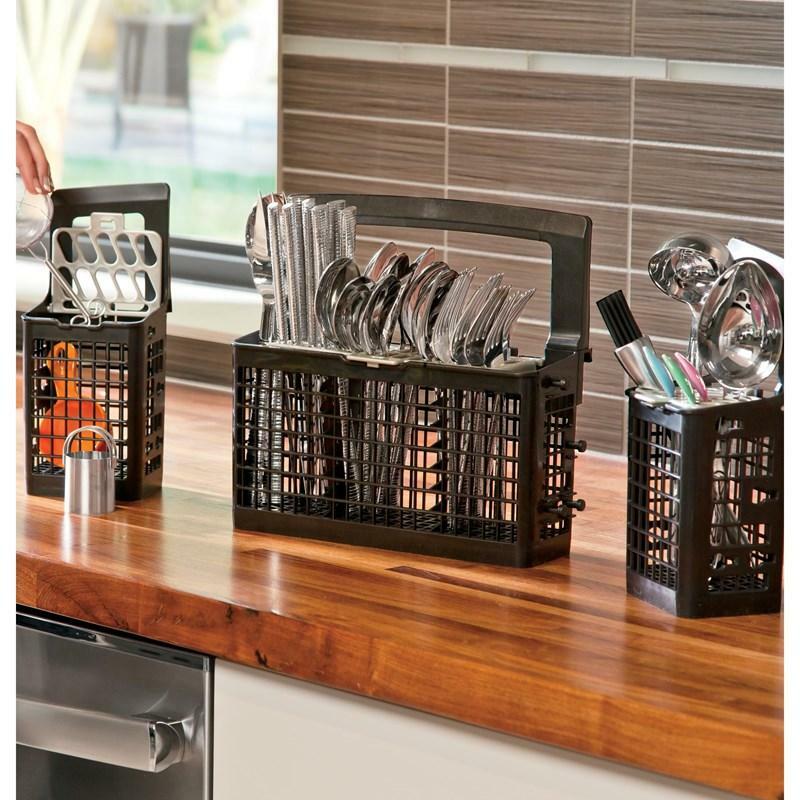 Additional Dimensions • Height with Legs Retracted - Minimum Height: 33.375 in. 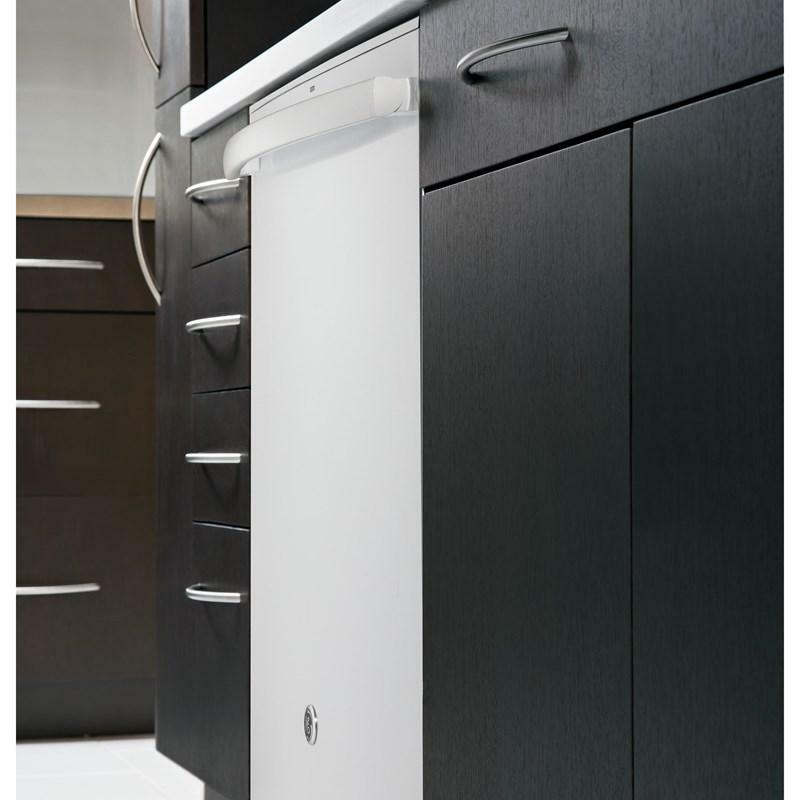 • Height with Legs Extended - Maximum Height: 34.625 in.